Meet Gusto, the Curacao restaurant guide! 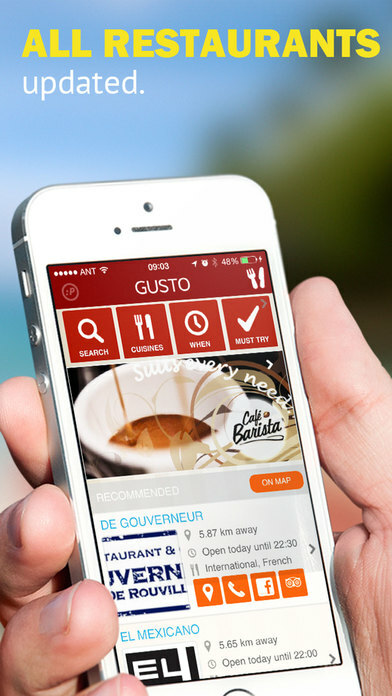 The Gusto app gives you yummy inspiration and helps you making quick decisions on dining, lunch or takeout at Curacao. Check per cuisine what’s around you on the island or which restaurants are open at a specific time. 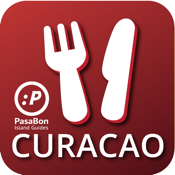 Whether you are a local or just visiting Curacao, Gusto is the restaurant guide for foodies and other hungry people, without incurring expensive roaming data charges! 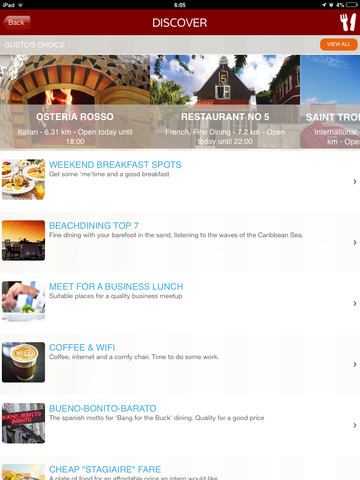 Gusto is Curacao’s first foodapp with monthly updates and interesting shortlists. 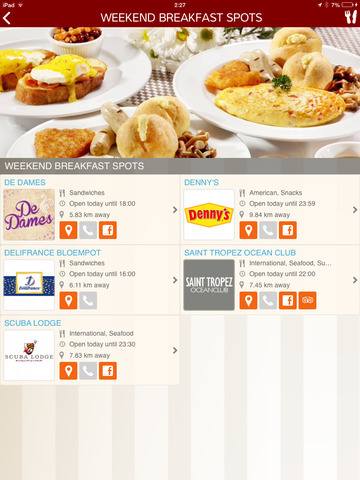 All the restaurants of Curacao are in your pocket. Listing restaurants in Westpunt, Pietermaai, Jan Thiel, Bandabou, Piscadera, Otrobanda & Punda. With detailed information, locations, opening hours and images. With access to the websites, facebook and tripadvisor pages of all the restaurants on Curacao you will never be surprised again.